The Culture of Mongolia has been heavily influenced by the Mongol nomadic way of life. Hospitality is so important and so real in the countryside of the nomad family. It’s in the culture to know how to receive guests. Because of 4 seasons of Mongolia, and because of pasturing the herd, herders move one place to another. At their home, they will always have some tsai (traditional salty milk tea or black tea) and some food (usually traditional biscuits), some small bread pieces, dairy products ready to be offered to the possible unscheduled guests. To come unannounced at someone’s else place is indeed very common, even on an early morning of the weekends. Because they don’t have resting days. 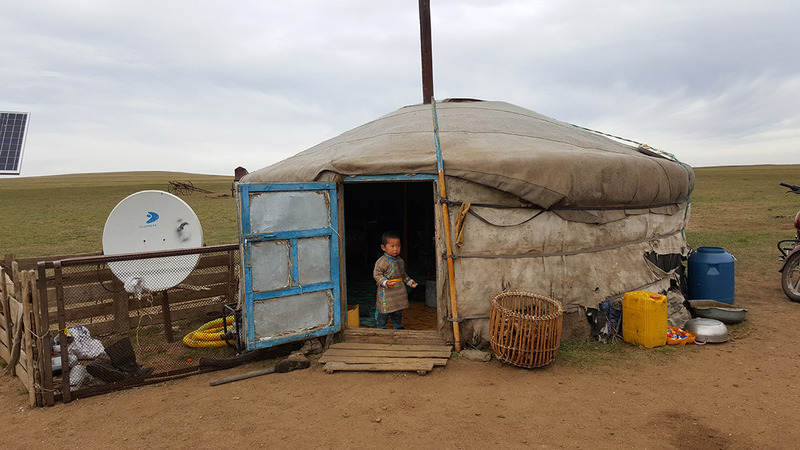 They will just open the door of the ger (Mongolian traditional round home) and will invite you to sit down to get something to drink and to eat. It doesn’t mean that the guests will stay at the place for a long time: they will drink the tsai and the snacks quickly and then go out of the ger, as quickly as they had entered. When a herder sees that some other herder’s family is moving around, they go to them and ask How are you while offering some food and tsai just to support them while going on a long trip.